If there was a competition that surrounds finding the next big thing in the transportation industry, I am pretty sure that this bus by Chinese engineers would give its competitors a reason to be biting their nails. 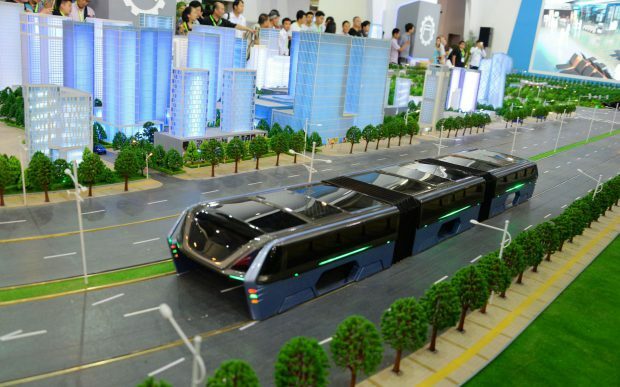 The most interesting concept of the bus is that it drives over-top traffic. According to the developers, we can look out for the new entity by the end of this year as it is currently being developed and will be ready for testing by then. Vehicles are allowed to drive below the futuristic bus where there is a 2.1 meter opening. This transport method may even throw out the idea of building subways as it by far a cheaper solution. The engineers leading the development are hoping that they can soon establish it in Chinese cities.